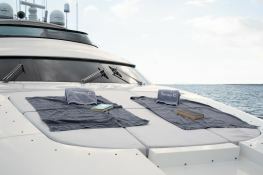 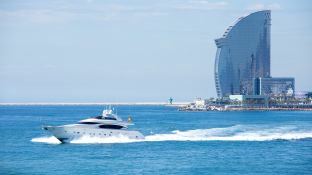 The Seven C super yacht is available for hire in the Balearic Islands from Marina Botafoch in Ibiza during the summer - or from Barcelona the rest of the year. 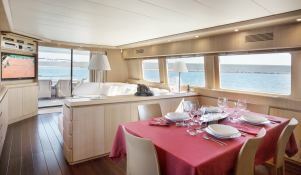 Enjoy beautiful sunsets with a cocktail on the deck of this magnificent yacht around Ibiza, Mallorca, Menorca, or Barcelona. 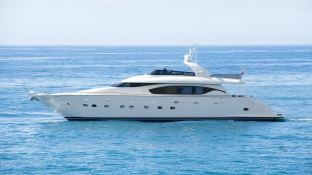 Seven C, built in 2003 by Maiora, and refitted in 2011 is a fantastic 28M motoryacht which welcomes up to 8 guests on board with a crew of 4, and can reach a cruising speed of 23 knots thanks to its 2x2000 hp engines. 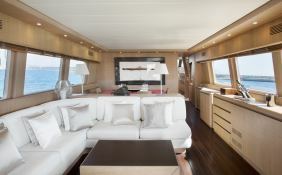 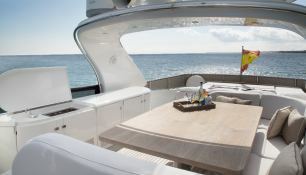 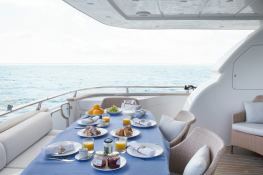 This Maiora Yacht 28M is available for luxury charter around Balearics, Barcelona and Ibiza. 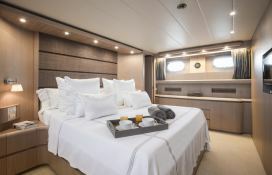 Seven C is equipped with air conditioning, equipped galley and also kayak and waverunner for a great luxury charter experience. 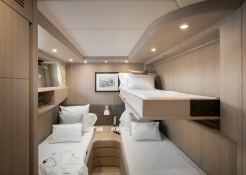 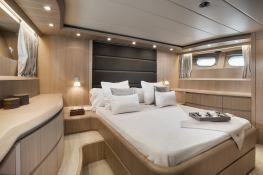 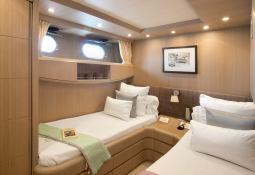 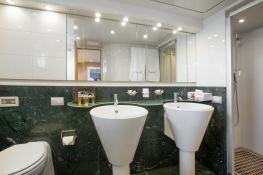 Seven C is available for yacht charter with a base price of 44 000 € (approximatly 49 621 $).